"You are coming dangerously close to the truth. The 'sainted' American people are the problem here. They have 105 billion credit cards; that's 9 per cardholder. Self-reporting, they have $12,000 credit card debt per household. Household debt is 139% of household income. They can't go on like this. 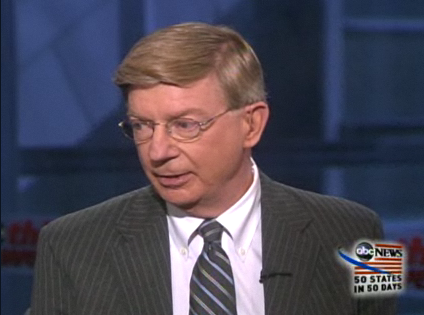 The refusal to defer gratification is a fundamental attribute of childishness," says George Will. Gingrich comments, "we are overspending on immediate gratification and underspending on investment."